Whenever I’m in need of ideas for flower containers, I need to look no further than my mom’s house. 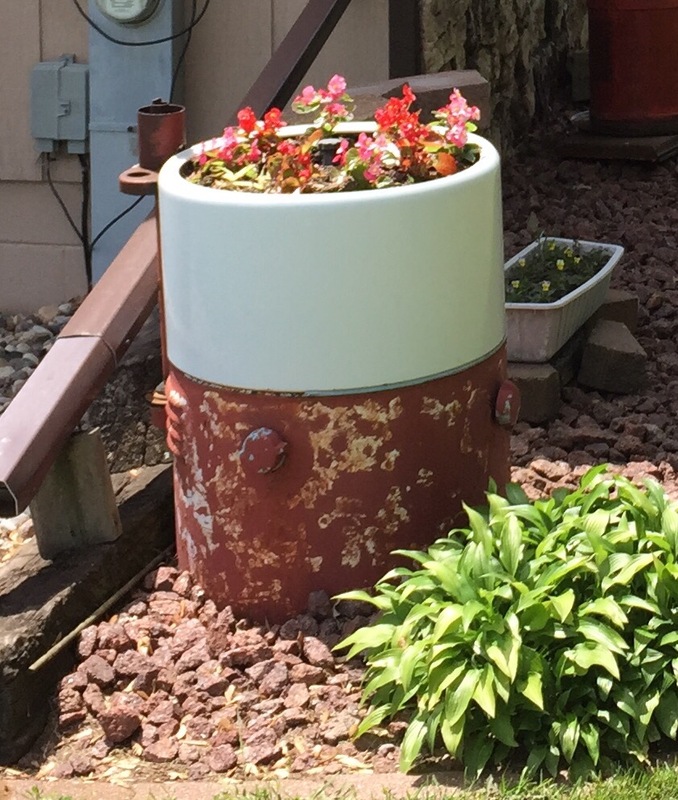 I love that she turned an old washing machine into a planter! Note: Having trouble uploading image from the rural area my parents live in. Will try again tomorrow. My apologies (the planter really is cute)! Update (June 7): Finally got the photo to upload. I told you it was cute! Hope to get more pictures (i.e. ideas) today. This entry was posted in Gardening and tagged flowers, ideas on June 6, 2015 by Julie Riebe.